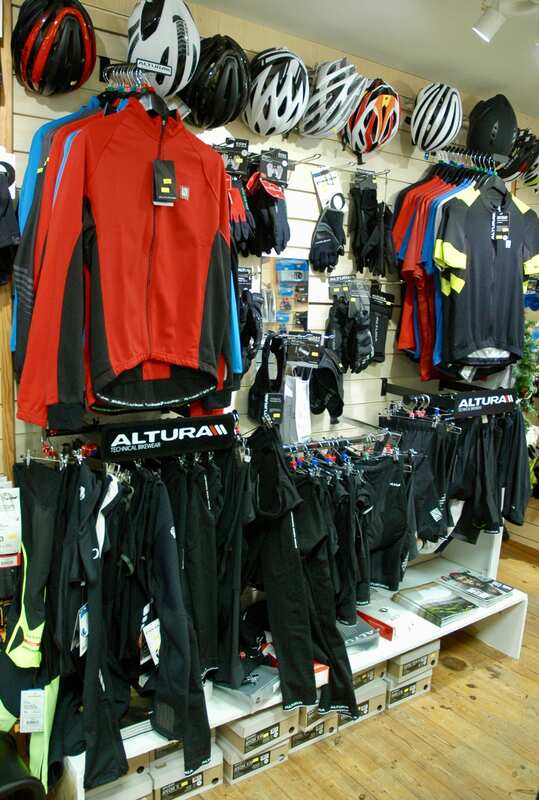 We have an extensive range of cycle clothing to suit every type of cyclist and depth of wallet! From great brands you know and trust to deliver top quality kit. 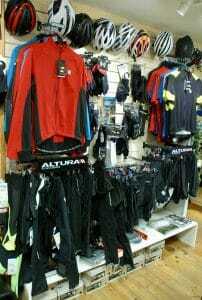 Fox, Bontrager, Altura, Giro, Shimano and more. We even have a changing room so you can get the right size first time! 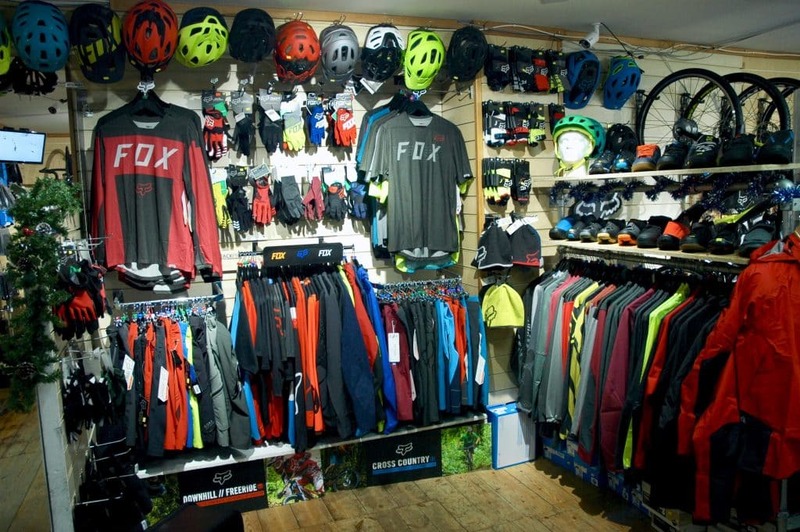 We major on Fox and Altura clothing for the mountain bikes, carrying a great range of kit from both. 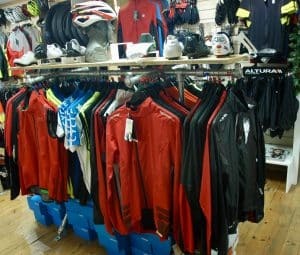 From baggy shorts to full on race kit, waterproof jackets and trousers to gloves and base layers. 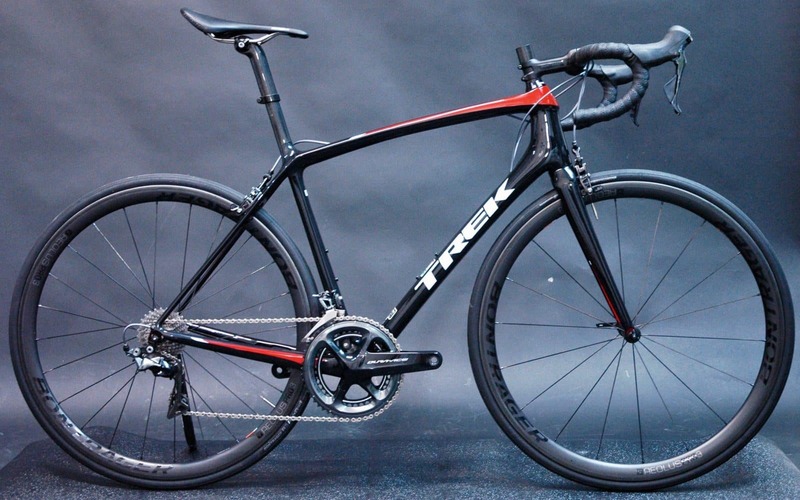 Where quality and performance matter. 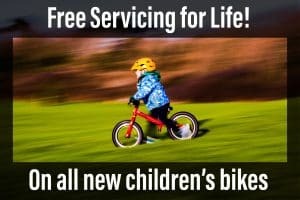 Pearl Izumi, Mavic and Altura deliver. Cycling shorts, bibs and tights to mitts, base layers and jerseys, we’ve got it covered. 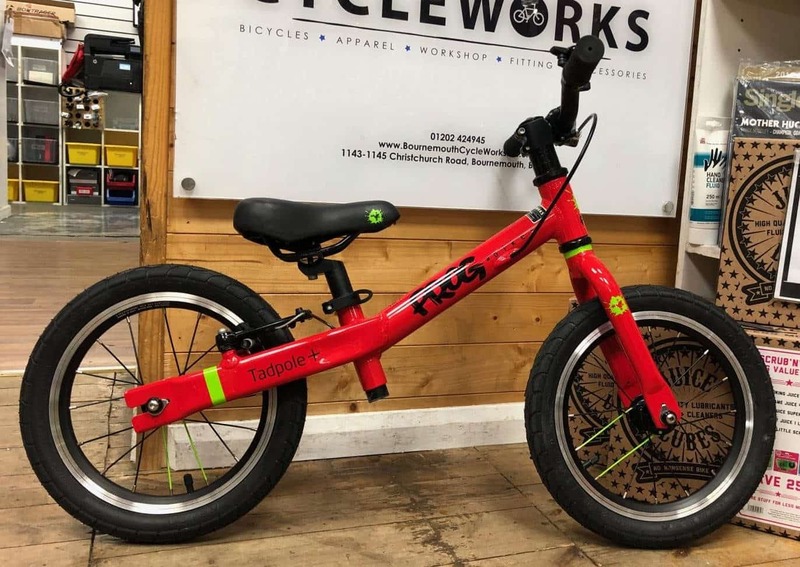 Everything you need for commuting to work or enjoying the forest roads and trails at the weekend. 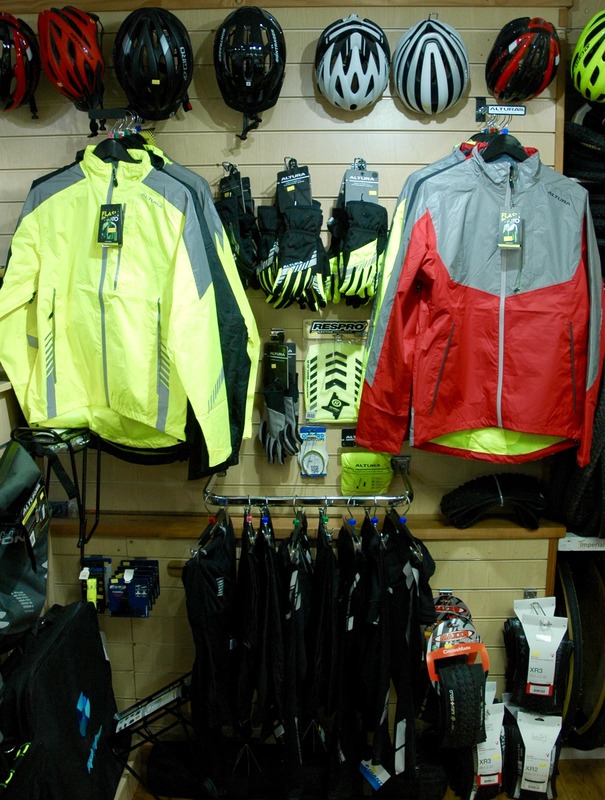 Comfortable wicking jerseys, great value waterproofs, padded shorts and gloves. There will no excuse to stay indoors!